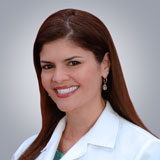 Dr. Valderrama creates customized treatment plans tailored to her patients’ needs and lifestyle. From traditional braces to clear braces to Invisalign, Dr. Valderrama offers options for every age, style, and budget. Coast Dental is pleased to welcome orthodontist Natalia Valderrama, DDS, MS of Ed., to its practices in Melbourne, Merritt Island, and Palm Bay. Dr. Valderrama offers a wide variety of services including early orthodontic treatment for children, traditional braces, clear ceramic braces, orthodontic micro-implants, Invisalign® clear aligners and ClearCorrect™ aligners. Coast Dental offers free orthodontic consultations, so it’s easy to find out how braces or aligners can fix problems including crowding, crossbite, open bite, protruding teeth, teeth that erupted in the wrong place, gaps between teeth, and jaw misalignment. Dr. Valderrama offers adults, teenagers, and pre-teens special savings on both traditional braces and clear braces. Monthly payments start at $99 with no money down. * For offer details and to make an appointment for a free consultation, visit CoastDental.com or call 1-800-32-SMILE. The American Association of Orthodontists recommends children receive their first orthodontic consultation by age seven to spot any problems with jaw growth and emerging teeth. However, orthodontics aren’t just for kids anymore. One in five orthodontic patients is an adult. Dr. Valderrama is fluent in English and Spanish and is a member of the American Association of Orthdodontists, American Academy of Facial Esthetics, American Dental Association and Florida Dental Association. She earned her orthodontics specialist certification at Jacksonville University’s School of Orthodontics, where she was President of the Class in 2011. She earned her Doctor of Dental Surgery degree from Santo Tomas University in Colombia, South America, where she graduated at the top of her class in 1997, and completed an Advanced Education in General Dentistry residency at the Eastman Institute for Oral Health at the University of Rochester in New York in 2010. In addition, she was a registered nurse from 2002 – 2008 in Texas. Coast Dental accepts more than 200 types of insurances, plus offers financing plans. For more information about braces, clear aligners and other options to straighten crooked teeth, please visit CoastDental.com. Coast Dental, P.A., with its professional associations, is one of the largest providers of general and specialty care in the United States with affiliated practices operating as Coast Dental and SmileCare in Florida, Georgia, California, Nevada and Texas. Coast Dental Services, LLC is a privately-held practice management company that provides comprehensive, non-clinical business and administrative services to its affiliated practices. The company is headquartered in Tampa, Florida. For more information, visit CoastDental.com.